The Rose City Thunderbird Club of Portland, Oregon was formed in 1973 to become a medium of social and technical activities for owners and admirers of 1955 - 1957 Ford Thunderbirds. It became Chapter #51 of the Classic Thunderbird Club International (CTCI) a year later. Since that time the club has continued to grow. Currently there are about 90 families on the membership roll. The Rose City Thunderbirds maintain an active schedule, both locally and nationally within CTCI. We conduct tech sessions, tours, dinners, picnics, and business meetings on a regular basis. We have hosted three regional conventions (1981, 1989, and 2003), plus three international conventions (1986, 1996 and 2008) for CTCI. All six were very successful in terms of attendance and finances. Four of our members have served on the CTCI Board of Directors, three of whom served as vice president and president. Two of our members have also served as CTCI Secretary for a total of 18 years. As a club we try to help each other keep our cars not only drivable, but in good, safe condition. Dues are $25 per year with an initiation fee of $5 for RCT. 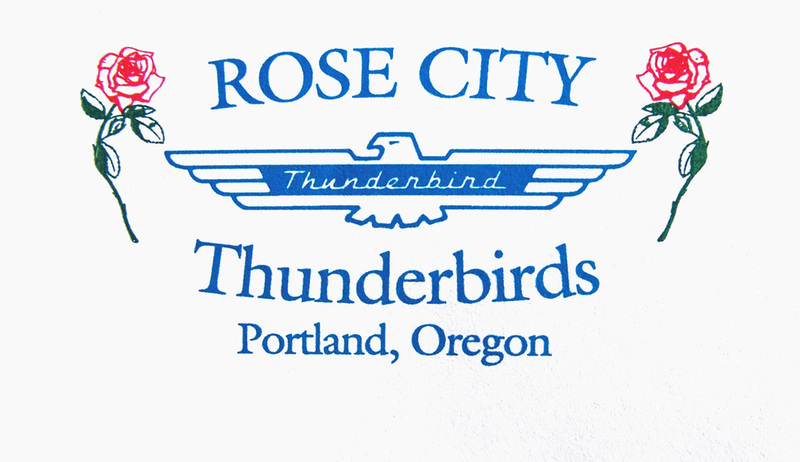 Membership in CTCI is required to join the Rose City Thunderbirds. A link to CTCI is on our home page.